The 2015 Prime Minister race is closer than many are willing to admit. And the stage is being set between two key political actors: current PM Stephen Harper and Liberal Party leader MP Justin Trudeau. Never before has the Canadian political divide been more obvious than the standoff between these two characters. On one side stands Harper, current national leader with strong neo-conservative credentials backed by a projected balanced budget. 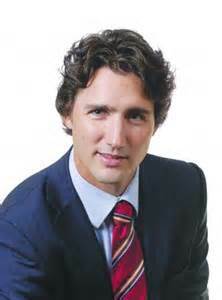 On the other side is Trudeau, progressive Parliamentary leader with a substantial political pedigree and a popular appeal on the rise. Longevity separates these candidates, so the obvious clash between new and old will play out in this comparison. Harper remains the elder statesmen with decades’ worth of political clout to support his continued tenure as Prime Minister. Harper ran for his first post in 1988, and was making a name for himself politically when Trudeau was still entering puberty. The difference in tenure is open to interpretation: One man’s respected veteran is another man’s over-the-hill retiree. Trudeau’s rise in popularity and Harper’s dip in the polls are evidence enough that numerous Canadians might be prepared for a new era in Canadian politics. In times of financial crisis, economics dominates the conversation. Trudeau’s liberal agenda focuses on growing the middle class. In an animated video, Trudeau laid out the foundation of his economic policies, which can be best characterized as Keynesian – leveraging short term aggregate demand via public spending as a means to cure recessions. Trudeau asserts that the Canadian federal government has managed its deficits and debts well over the past few decades, leaving room for public investment in education, infrastructure, research, and overall economic growth. Harper is more skeptical of the role government plays in the creation of economic growth. “If Ottawa giveth, then Ottawa can taketh away,” Harper claims. His political legacy has been one of austerity as he continues to balance the budget. For example, Harper has cut deeply into the Environment Canada’s budget, reducing its C$1.3 billion budget in 2007 to a C$949 million in 2015. With these sweeping cuts in spending, Canada is on pace to fully balance its budget and create a surplus in 2015 – after starting the fiscal year with a C$55.6 billion deficit. Many oppositional parties are skeptical, especially given the lack of transparency on the data indicators and the fact that the budget gets balanced conveniently during an election year. If government is to do anything, according to Harper, it is promote trade agreements with emerging international economies. 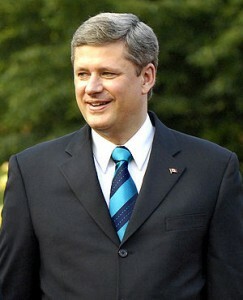 Harper has played a large role in Canada’s transition into the ever-accelerating global economy. Working to negotiate large scale trade deals like the Comprehensive Economic and Trade Agreement with the European Union and the Keystone XL Pipeline with the US, Harper has ushered in an influx of foreign investment for Canada during his tenure. As a former oil executive, Harper is often criticized as being too cozy with multinational corporations, which tend to benefit from these trade agreements. Escorting in businesses like Chinese-owned Nexan and Malaysian-owned Petronas leave open questions about what are the true loyalties of foreign-owned entities. Aside from obvious economic differences, Trudeau and Harper also differ drastically on social affairs. Trudeau has gained equal parts support and criticism for his support for the legalization of marijuana. Harper has leveraged this stance to bolster his own criminal justice credentials, showing that he has always been “tough on crime.” In addition to decriminalizing weed, Trudeau has actively supported marriage equality for the LGBTQ community, increased access to abortions when the mother’s life is in danger, and several other traditional progressive platforms. Meanwhile, Harper continues wave the flag of traditional, family values – a lobby that strives to protect a traditional definition of marriage between a man and woman, a fetus’ right to life, and the empowerment of the nuclear family model. Oddly enough, the one thing that these two candidates have in common is former Prime Minister, Pierre Trudeau. Obviously, Justin can trace his biological lineage to his father, Pierre. However, it was Pierre’s polarizing National Energy Program – which nationalized revenue gains from oil production – that inspired Harper to stray away from the Liberals. Despite their differences, Trudeau and Harper want the same thing: a healthy, vibrant, and economically efficient Canada. It’s just how they achieve that goal that makes for such a spectacle in the political arena – a spectacle that may play out in the 2015 elections. Jay Stooksberry. "Trudeau vs Harper – the Canadian political divide defined." DifferenceBetween.net. September 28, 2017 < http://www.differencebetween.net/miscellaneous/politics/leaders/trudeau-vs-harper-the-canadian-political-divide-defined/ >.